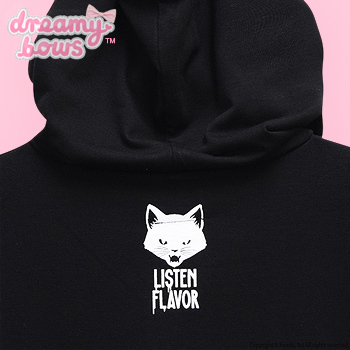 This versatile hooded cutsew is bursting with attitude and the ringed sleeves and lace up neckline makes it perfect for adding a touch of Harajuku Punk to any outfit. 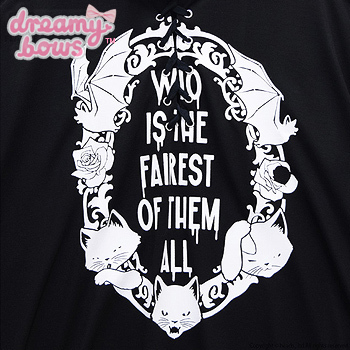 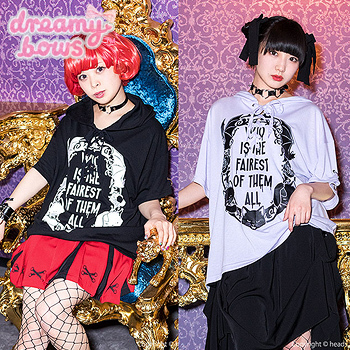 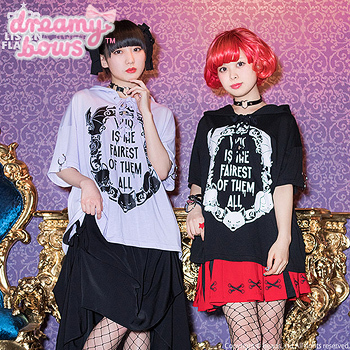 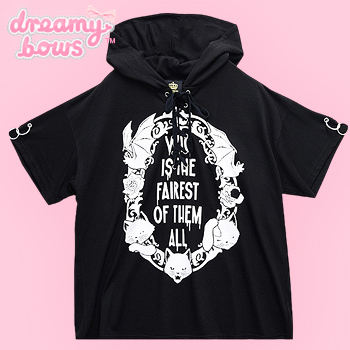 This awesome hooded cutsew from Listen Flavor features a mirror frame of bats and sassy kitties with 'Who Is The Fairest Of Them All' written in the middle in drippy text. 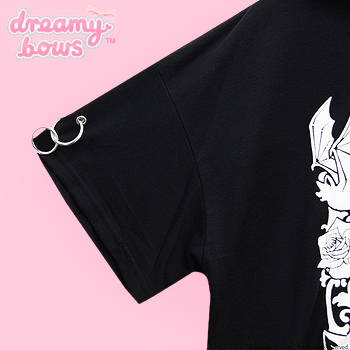 There are ringlets on both sleeves and a lace up neckline for a more impactive look. 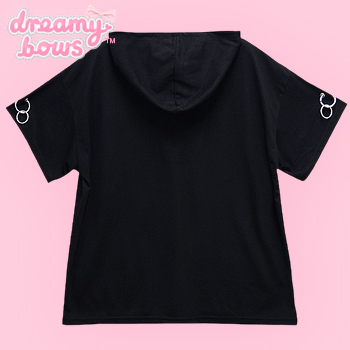 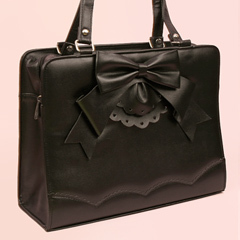 This cutsew would be perfect for any creepy cute wardrobe.